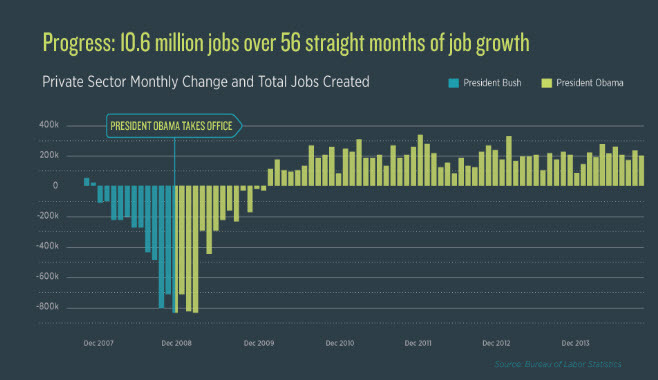 There may be a lot of problems with Obama, but job creation is definitely not one of them. How can you argue with the reality of this chart? What’s all this Republican talk about Obama and not creating jobs? Would we really want to go back to the Bush years? See how that worked! This is a great chart, but America has a really big problem now with the epistemic closure of so many of the Republican voters’ (!) minds: They would say it was a Liberal lie, IF you could get them to even look at it. When Fox News pours buckets of lying slop into their ears day and night, what change does your country have. It is very sad to watch.